Eden Luxury Homes is a firm that specializes in sourcing premium properties for holidaymakers all over the world. It has rentals on offer in the USA, the Caribbean, Thailand, the South Pacific, Australia and above all, Europe. With France being the world’s number one tourist destination, it’s not surprising that the site features a raft of French vacation properties from all around the country. Why not view some of Eden Luxury Home’s beautiful Provençal villas, or take a look at its chalets in some of the Alp’s most exclusive winter sports resorts? 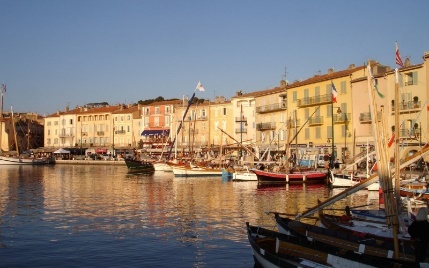 One location that just oozes Gallic charm and class is of course St. Tropez (pictured below), first made famous by Brigitte Bardot. There are over a score of different villas and apartments to choose from in the immediate area, along with properties in nearby Cannes. This part of France is famous for its wonderful climate, great food, art galleries and of course, celebrity-spotting opportunities! St. Tropez is ideally placed for day trips to some of France’s most fascinating towns and cities, including Marseilles, Nice, Avignon and Arles. ← Où acheter ses vêtements quand on déteste le shopping ?